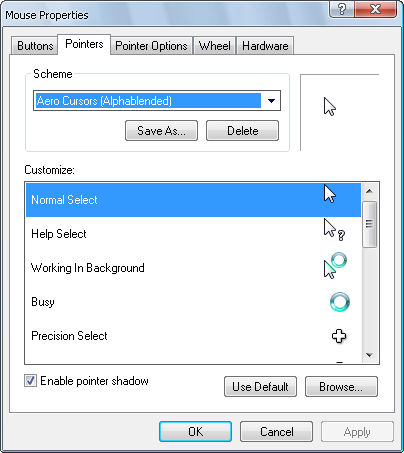 If you like the Aero styled cursor scheme of Vista and want to use it on your XP system, then here is a nice utility. This tool will install the vista cursor scheme in a single click to your windows files. You just need to download this package and install it. To install the cursor package: right-click the Install.inf file that comes with the package and choose the install option from the context menu.